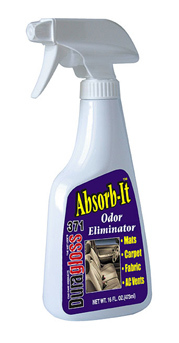 Is formulated to eliminate odors on fabric, carpet and other areas inside an auto. Simply spray and odors vanish. (This product is not recommended for vinyl or leather).